RANT 28 years old and always learning! Discussion in 'Education, Learning, Books' started by juba.hadjal, May 20, 2017. I am very happy to be here and read all of you! This forum is full of information and it motivates me to achieve my goals. Three years ago I was in the University learning English literature and today I work as a slave in a society that breaks my back and takes my time off my family and friends. When I arrived in France, I noticed there was no ambition at all, people are working 5 days a week for a miserable 1200€/Month net salary. What I thought as an immigrant, what the heck! is this the "France" that my native Algerian friends sold me? I expected to find a job and earn cash and live the easy life for the rest of my life, enjoying the weekends with my family. As a foreign student, I didn't find any job and it was very hard for me to study at the university something I didn't really like. It was all about British and American politics. While some modules were very interesting and very well taught, other modules were just boring and I didn't feel I was destined to that kind of learning. I asked myself, what's the point of all this? Will this kind of knowledge will make me wealthy? It was obvious that it will not. I always have been curious and I always have been fascinated by young people making money starting from zero. I found a young millionaire on Youtube that promised me millions of dollars using his program called Google Sniper. George Brown is his name. You probably heard about him and his program, it was the Big thing back then. At least I thought so. After that, I quit the university and continued to learn about affiliate marketing and blogging. I created multiple websites and I always dreamt about having instant money. I invested a lot of time but as MJ would say "I was a business Polygamist" I was not loyal to one business and not Loyal to one Business Model. If I had to restart my first business I would have done things differently. I bought paying programs, I wrote articles, I outsourced and gave all my "time" for free! I prostituted my time and freedom to only have "nada" in return. ZERO ROI! I stopped my activities and continued learning and studying Money, Finance, Stock Markets, Real estate, coding and I listened to audio books every day. I felt great and I think that all these misadventures led me to The Millionaire Fastlane. This was the first time I felt understood and I felt I was a little bit different from other people who think that life is to save money and pray to have a good president to make them rich. Hoping was not and is not included in my plan and I am glad for that. My parents always pushed us to study in order to have good, stable jobs that pay more than the average salary. My Sister is biology doctor, my elder Brother is an engineer and my little brother is a psychologist. It's all crap!! we are all trapped in a system we don't like, we always have to complain about our politicians and why they don't give us more money. But actually, I always thought that if we accept it then we deserve it. We accept to be underpaid and we accept to enslaved for nothing in return. Mediocrity isn't a solution and I Always knew it. 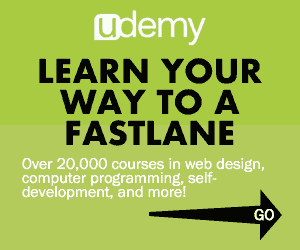 My next step is to settle a Fastlane Plan and do what I want to, where and When I want to do it. I do own a small website that starts to rank on google for several keywords but I am not satisfied with the design and the organization. Still working on it, and I not a polygamist anymore. Which I believe is a good thing. I am now reading the book and learning from it, it is really an amazing feeling to know that this community thinks just like I do. I hope this short article isn't too boring! Don't forget to learn new things every day, you don't know what skill can serve you in future projects. Omerroz, luniac, Eskil and 2 others like this. 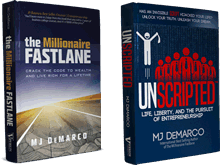 Are you talking about reading The Millionaire Fastlane or Unscripted? I am reading The Millionaire Fastlane and I will certainly buy Unscripted as well, thank you for commenting§ I totally agree with you, affiliate marketing is great when you start and when you have some experience but as you said if a program goes bankrupt you don't have anything left and you don't keep the clients as they are not yours. But I will be creating a content writing agency and I will really work on marketing it and spreading the word. Welcome aboard! Looking forward to hearing about your endeavors! Awesome! Glad to hear you're looking beyond affiliate marketing as your sole income. Sounds you're like a motivated guy who instead isn't looking for the newest shortcut, but is forward thinking and willing and committed to implementing, not just absorbing knowledge. Great traits that can only lead to success if you stick on this path. juba.hadjal and ZF Lee like this. Hi again, Sorry for late answer, I didn't receive the notification I guess. I am here every day and trying to learn new things. This forum is the only one that motivates me to stay. I don't know why, but feeling understood is a great feeling. Update about my situation, I have been contacted by an authority website and they want to write articles as guests. It is cool, I'll try give as much value as I can. A positive Feedback loop is very important. Thank you again for your answer and sorry for not responding to your message right away.